As Executive Director, Communications, Katie plays a key role in supporting the goals and priorities outlined in the Faculty’s strategic plan, “Building the Future.” She works with faculty, staff and partners around the province to lead strategic communications initiatives that foster engagement and inclusivity across the Faculty and with our stakeholders. 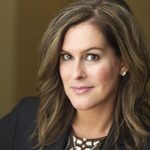 Katie is an accomplished corporate communications and public relations professional with more than 19 years of progressive experience and leadership in communications, marketing, media relations and stakeholder engagement. Katie is a 2017 YWCA Vancouver Women of Distinction Awards nominee, serves as a member of the board of directors for Big Sisters of BC Lower Mainland and vice-chair for the NEXT Leaders Steering Committee, Business Council of British Columbia.